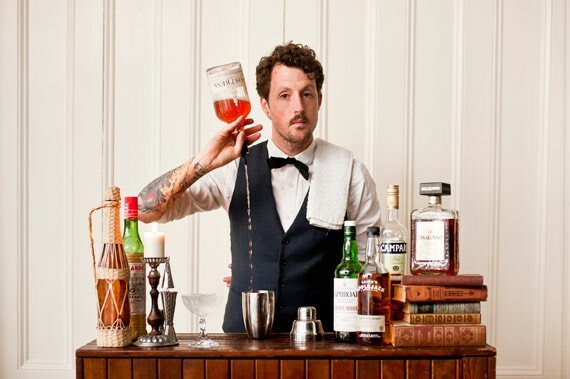 Shane Beehan is one of 10 bartenders competing in the World Class Canadian finals. "My first job ever working in the industry was as a dishwasher at The Bitter End," Shane Beehan says, a breathless storyteller let loose inside him. "I was, like, 21 years old and going to university and I would walk to work or bike to work each day and I'd go by Mosaic, by that big glass window. I'd see this guy in a black bow tie and white shirt and vest." Bartending culture was something Beehan never had a single thought about. "It wasn't on my radar," he shrugs. "I had no idea what it was about." Now 29, Beehan is the head bartender at Field Guide. From June 21-24, he will represent Halifax as one of 10 national competitors at Diageo World Class's Canadian finals in Chicago. It's a competition to find the best bartender in the world. Twenty-one-year-old Shane, though, he'd walk by Mosaic, on his way to wash the Skittles out of the bottom of martini glasses at The Bitter End. The bar next door would be dead, he says, and he couldn't wrap his head around what the hell that bartender was doing. "Now I look back and I see that he was doing something incredibly special," Beehan says. "He was just ahead of his time. He had to move away because for him to succeed he had to go to a city with a culture that was already there. You can't bartend if you don't have anybody sitting at your bar." When Mosaic eventually closed in 2011, that bartender—Cooper Tardivel—was headhunted to start up a bar program at Vancouver's Hawksworth Restaurant. "The talent level out here is the highest," Tardivel says over the phone. "And the funny thing is, is no one is from here." Vancouver, he says, is a place where talent gets recognized. 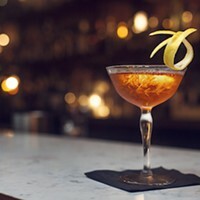 The larger population, the proximity to Seattle—"the quiet hub of the west coast," he calls it—and the level of intelligence surrounding cocktail culture and history makes it easier to flourish there. "You don't need to placate to the masses or dumb down any program," he says. "You can kind of push the limits a little bit further here because people are looking for that." 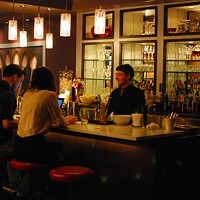 In 2006, when Tardivel created the bar program at Mosaic in Halifax, it was pretty much the only place in town that featured well-crafted cocktails with fresh juices and house-made syrups instead of well shots and candy bar concoctions. "There was a small group of people who wanted cocktails, because they had travelled and they understood the culture," says Tardivel, "but Halifax is a college town and it's always going to be a college town and going out on a Friday night doesn't really have anything to do with having a $13 cocktail." Today, Tardivel is the winner of the Vancouver regionals, one of five Vancouver bartenders competing in the Canadian World Class Finals. While Beehan didn't win the Quebec/Atlantic regionals—there are also Ontario and Midwest competitions—he landed a top 10 finish out of the 64 total competitors, making him the only resident Atlantic Canadian in the national competition. Beehan wasn't alone at the regionals: Michael Hopper (La Frasca), Eric Ross (The Middle Spoon) and Lincoln Creaser (Press Gang) all represented Halifax. Jeff Van Horne, head bartender at the soon-to-open Lot Six Oyster Bar, joined them as a mentor. "Jeff did it the first year and he's sort of the godfather of our community down here and he wanted to support us," says Beehan. "Jeff has been my biggest mentor and support during my entire bartending career." Van Horne and Jenner Cormier, who is now behind the bar at Toronto's Bar Raval, have been stewards of cocktail culture here for the past three years. "Bartending can have this sort of me-versus-you mentality, and this is a competition, so you are in it for yourself, but it's so funny because the attitudes of us on the east coast... we're laidback and supportive," says Beehan. "Our community is small and if we're going to have any success and growth in our community it is going to be through support. So all of us went up there and we were helping each other out. It wasn't cut throat whatsoever. We grew as a community just by being there." Cormier's career really took off after World Class. After winning Canada's first World Class competition and competing in the global competition in 2013, he actually became a company man, recruiting competitors for Diageo, designing challenges and sitting on judging panels for World Class with the likes of cocktail pioneer and James Beard Award-winning bartender Dale Degroff and Tony Abou-Ganim, creator of the modern-classic Cable Car cocktail. In total, the Diageo competition sees 10,000 bartenders from more than 150 countries eventually whittled down to one winner. "Diageo World Class is the most extensive, educational, and competitive bartending competition in the world. Hands down," says Cormier. "The level of talent that this competition possesses this year is off the charts, but Shane fits into that group of bartenders." "North America is, according to this type of competition, at the highest class worldwide," says Beehan. "Truth be told I have the least experience of anyone in this competition and I'm definitely a huge underdog. But that being said, I'm going there to learn and grown from these people. I'm not counting myself out." "Shane certainly has his work cut out for him, but I believe at the end of the day that he will be in the ring swinging with the best of them," says Cormier. "Jenner was the first bartender that I really saw in Halifax, where I sat at the bar and had a drink and saw he was doing and it inspired me," says Beehan. Initially he didn't see himself becoming a barman: Beehan was in grad school, writing a masters thesis on Newfoundland literature. "I picked up bartending as a job, just to make money and write during the day. But all of a sudden I started to really enjoy it." Part of that satisfaction stems from his belief that you truly are the sum of your experiences. "My 10 years of university study help me become a focused and articulate person. 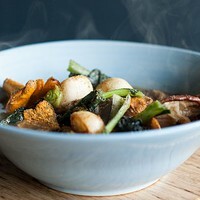 I also spent about four years cooking; I was never a great cook, but I did have some pretty interesting cooking jobs in some pretty crazy places that taught me a lot about quick thinking, moving on my feet and keeping clean," he says. "So when I started to bartend I had the experience of loving storytelling, writing stories, understanding history and then also being able to work with my hands, to understand flavours. Put those together: you have a bartender." So almost 10 years after the shaky start of Halifax's return to cocktail culture, we finally seem to be in the throes of a real renaissance. "I knew that everything would catch up eventually," Tardivel says. "We're just too cool not to get it in Halifax. We're really the country's best kept secret." He's also excited to have two Haligonians representing the two coasts in the nationals. "There's lots of great Maritime representation happening, which I constantly remind people of," he says, spilling the news that Alex Nightingale, his former bar-back at Mosaic, just placed second in the Hong Kong World Class Finals. "Cooper created one of the best bar programs in Canada and is one of the most respected bartenders in Canada," Beehan says. "Even though he's representing as the winner of the Vancouver regionals, I still think there are two people competing for Halifax."